One of my favorite places to visit in and around St Louis is the Shaw Nature Reserve, 30 miles west of Downtown St. Louis. It is a 2,500-acre nature reserve with tracts of tall grass prairie, glades, wetlands, savannas and woodlands near the Meramec River. 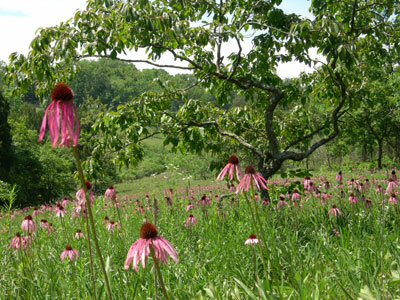 Last week the Wildflower wilderness had a fabulous display of cone flowers. I suspect that they must not be part of a “Deer Diet” to grow in such abundance and think I might try growing them in my garden … gardening is my down time from web designing!